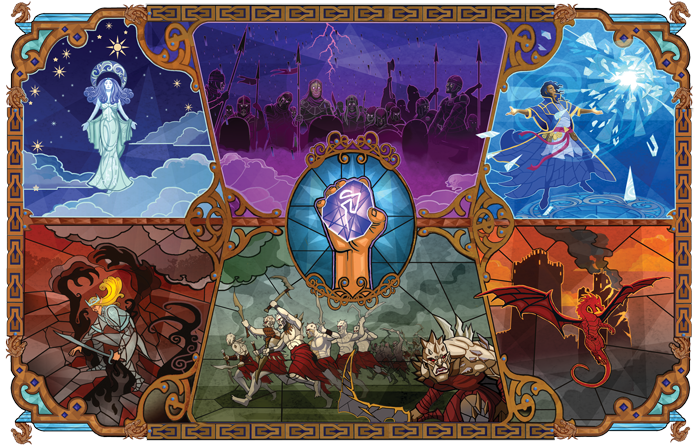 Fantasy Flight Games announces their first sourcebook for the Genesys RPG – Realms of Terrinoth! 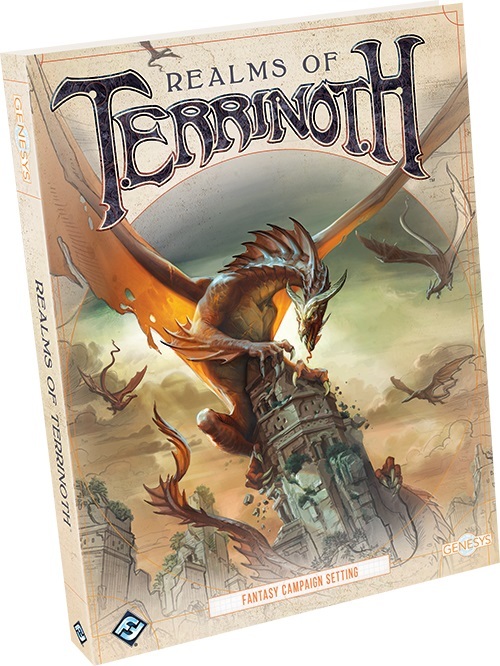 Fantasy Flight Games is proud to announce Realms of Terrinoth, a new sourcebook for the Genesys Roleplaying System! You can pre-order your copy today from your local retailer or our website! Realms of Terrinoth explores the world of Mennara featured in Runewars Miniatures Game, Legacy of Dragonholt, Descent: Journeys in the Dark, and Runebound. 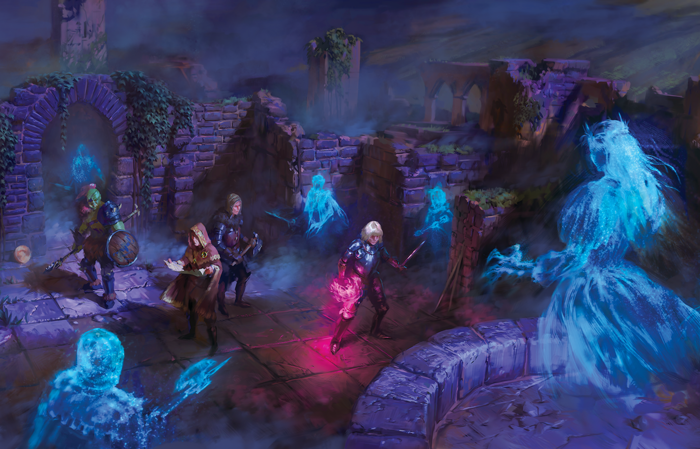 As a fantasy campaign setting for your games of Genesys, Realms of Terrinoth also features many races, weapons, gear, careers, and more—all of which can be found in the world of Terrinoth and expanded to any fantasy setting you create as the Game Master. Realms of Terrinoth as a source book will explore the lands that have been hinted at and built upon in the FFG Runebound Universe. Runebound has been an IP that FFG has been developing for years with lots of history and character. It makes total sense that FFG would want to tap into that rich history and explore it more in an RPG setting. By releasing a source book for Terrinoth, they are allowing players to do just that. If you’re unfamiliar with the setting, FFG has a quick primer that you can read HERE. Terrinoth is a land of forgotten greatness and lost legacies. Once ruled by the Elder Kings who called upon mighty magics to perform great deeds and work marvels, the land has suffered greatly at the hands of its three great foes: the undead armies of Waiqar the Betrayer, the demon-possessed hordes of the bloodthirsty Uthuk Y’llan, and the terrifying dragons of the Molten Heath. Many of its great cities have been cast down into ruins, and many wondrous secrets and powerful artifacts have been lost. The setting picks up as Adventurers and Heroes are rising up from among the people. The Daqan Barons have rebuilt walls and prepared to defend people and the Wizards of Greyhaven are once again tapping into the arcane. But they cannot turn the tide without the aid of champions – champions like you! The book itself will be divided up into three major sections: A History of the World Mennara, New & Expanded Mechanics, and a Tour of the Realms. The History section is pretty self explanatory. The New & Expanded Mechanics will include new races, classes, skills, origins and the like. 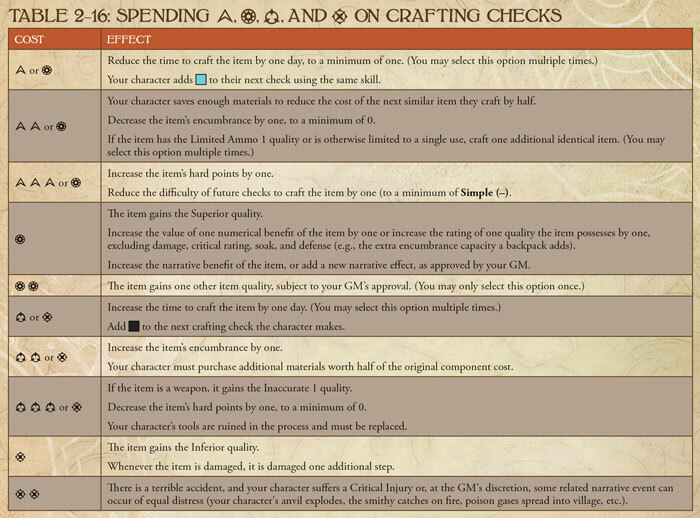 It will also contain expanded rules for both magic and crafting. The final section will tour through the different lands of Mennara. You’ll get a better idea of the different areas like the imposing forests of the Aymhelin or the cold and dark Mistlands. Players and GMs will get breakdowns of these different locations as well as NPCs that could be found there. The Realm of Terrinoth is a complete Fantasy Campaign Setting and is designed to be used with the Genesys Core Rules. However, because it’s basically a sourcebook for the entire Runebound setting, there is no reason you can’t use this as a foundation to build you own world and adventures. If you’re interested in explore the world of Mennara, then keep an eye out for this book – due out in Q2 of 2018! Descend into the world of Runebound!